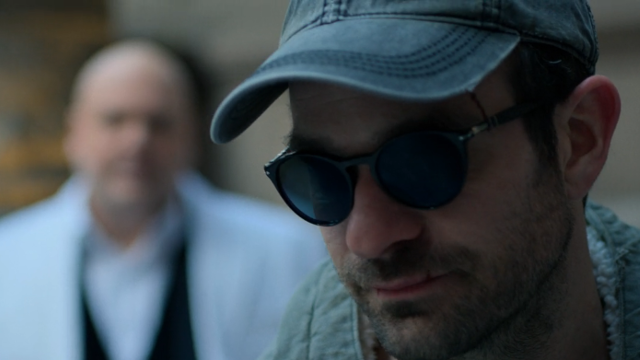 Matt is haunted by Fisk, who serves as the devil upon Daredevil’s shoulder. 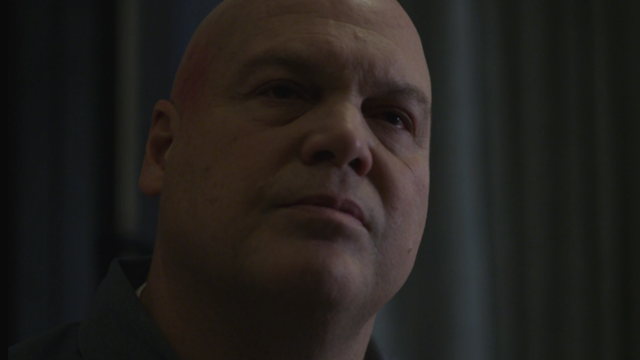 This version of Fisk gives voice to all of Matt’s doubts, his fears, and his more violent inclinations. 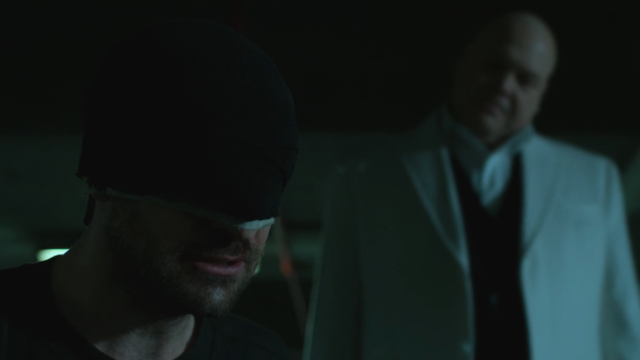 Matt comes to understand that in order to put Fisk away once and for all, that Matt has to stop holding onto the Matt Murdock part of himself and fully become the Daredevil. Foggy is also haunted. His guilt over his role in Matt’s death causes Foggy to suffer through a series of recurring nightmares about Matt. Upon hearing of Fisk’s release, Foggy goes to the DA and offers his help in getting Fisk’s deal with the FBI overturned. The DA, however, is the one who went along with the FBI’s deal in the first place and isn’t having it. Rejected and dejected, Foggy is drinking alone in a bar when Matt reveals himself to Foggy. Foggy’s relief is short-lived. Matt explains that he’s not “back”. Matt is going after Fisk and warns Foggy to stay away from Fisk so that Foggy doesn’t get hurt when Fisk lashes out. Matt tells Foggy to give the same message to Karen. Stay away from Fisk. Karen gets the same message from her editor at the Bulletin. She’s biased and can not be connected to any story about Fisk. Nonetheless, Karen continues to dig for facts that will put Fisk away. Karen traces the purchase of the Presidential Hotel through a series of shell companies owned by Fisk’s lawyers, Donovan and Partners. The previous owner was Mr. Kazemis, the old man who was assaulted. Karen believes the building that currently serves as Fisk’s prison is owned by Fisk himself. Fisk continues to be concerned for Vanessa’s well-being. For a time, she is unreachable, as her security moves her from safe house to safe house. Upon learning that Vanessa is in Spain, Fisk orders that she be moved somewhere closer, where the Albanians can’t get to her. Fisk is particularly interested in Special Agent Poindexter (Dex), the agent who fought off the Albanians. Fisk tries to make a connection with Dex by offering sympathies for the agents killed in the attack. When Fisk presses, asking Dex where he acquired his unique marksmanship skills, Dex shuts him down. 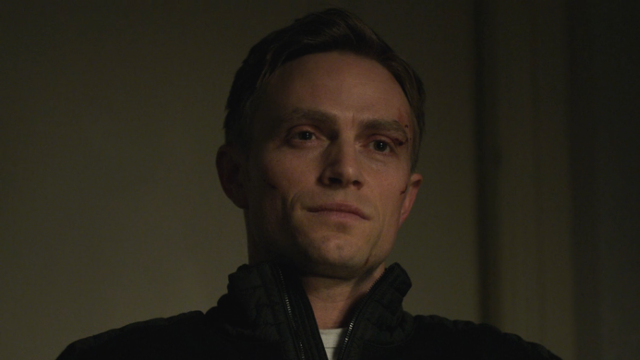 Upon hearing from Donovan about the lawyer being ambushed in the parking garage, Fisk learns that Daredevil is back and poking into Fisk’s business again. Because lethal force was used, Dex is required to be cleared by an agency psychologist before being allowed to return to duty. When the doctor asks Dex how he copes, Dex tells the doctor about Julie, a bartender that Dex is seeing. Dex says that he tells her everything and she is always there for him, listening and not judging. The doctor clears Dex to return and says it is a good thing that Dex has Julie, because violence is traumatic and keeping it bottled up is dangerous. After his shift, we see Dex sitting in his car, watching Julia close the bar. She goes across the street for pizza, just as Dex said, but she never notices him. Dex isn’t with Julie. He’s stalking her. 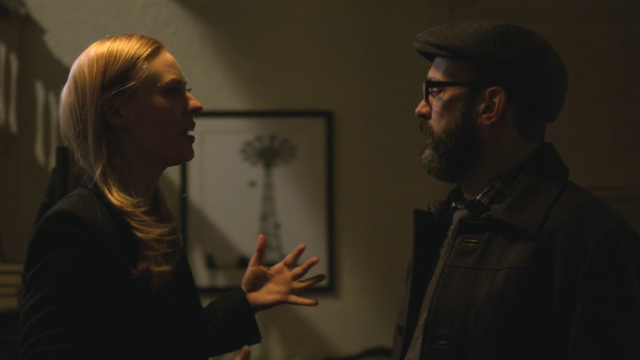 What did you think about Daredevil season 3 episode 3? Let us know in the comments below!